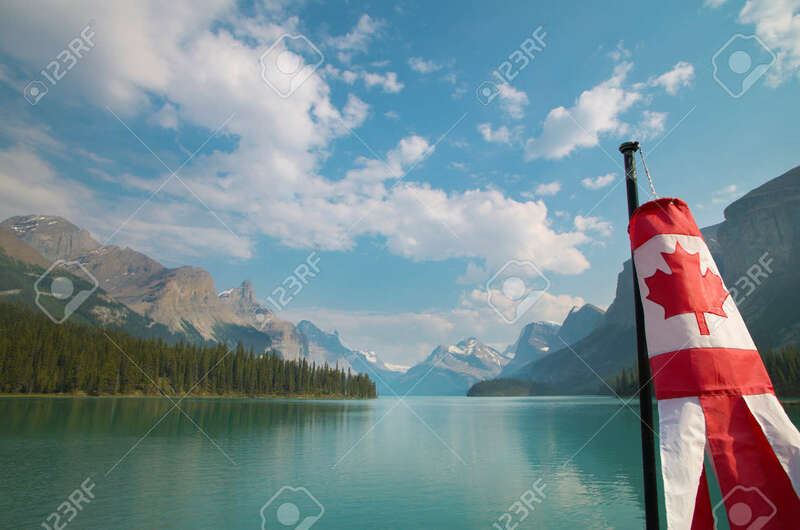 Canadian Landscape With Mountains, Maligne Lake And Flag. Alberta... Stock Photo, Picture And Royalty Free Image. Image 35372363.